Yes, we’re giving away our VW Campervan in a special free prize draw! But be quick, we’ll be picking the winner on 2nd June! You might remember that last year we gave you the chance to win one with special packs of our mueslis. No one has managed to win it yet, so we’ve decided to give our own Campervan away in a free prize draw. One lucky winner will be driving this around over the summer! It’s a wonderful Volkswagen T2 Danbury RIO with a sunroof, fridge and built in deluxe cooker with grill. All you need to do is fill in the quick form on the right and we’ll put your name in the hat to win it. 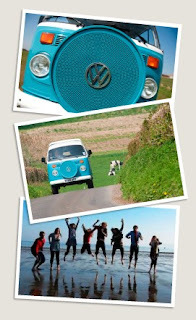 click here for more details on the VW Campervan Giveway and click here to read more about Dorset Cereals.